Taken down about 1908. Brick used in convent. Edwin A. Erickson. Return to library files. H. Blanken has a pic of flume from lake to kilns. Description Faded and spotted. Copy of 194a, same as 194b & d. Written on front: Pipe Foundry, Furnace. Transcription Taken down about 1908. Brick used in convent. Edwin A. Erickson. Return to library files. 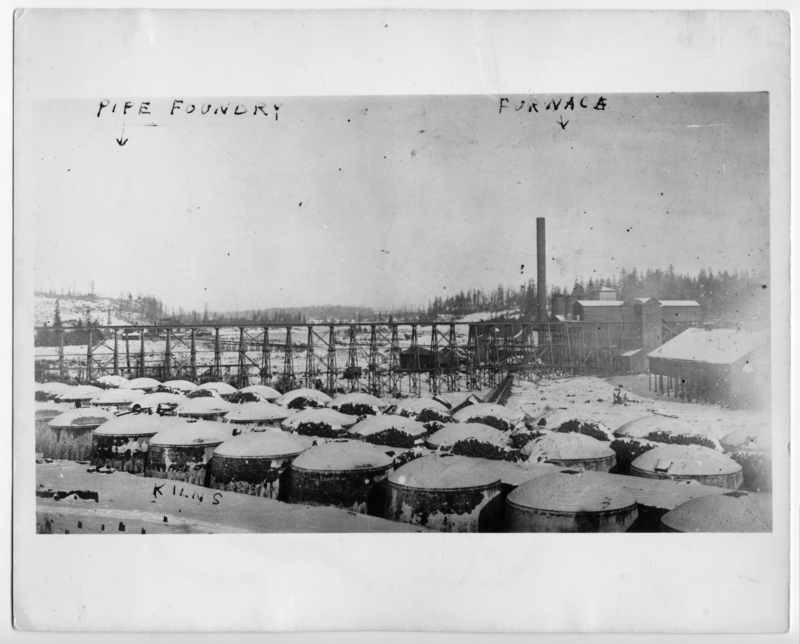 H. Blanken has a pic of flume from lake to kilns.